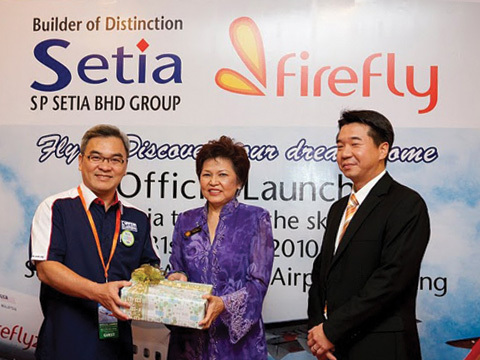 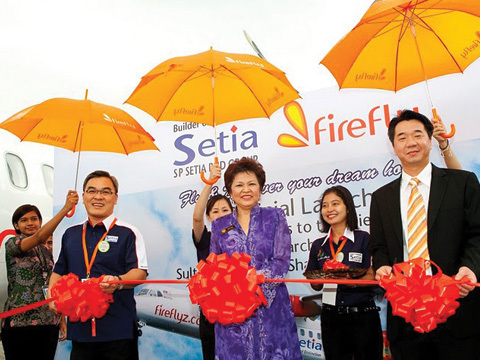 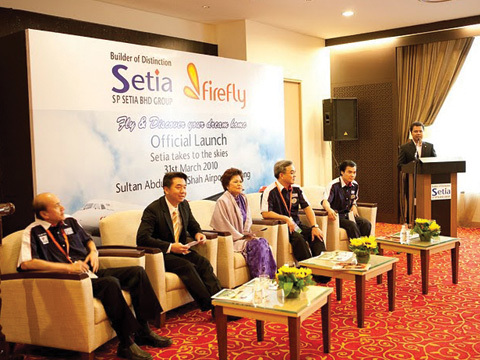 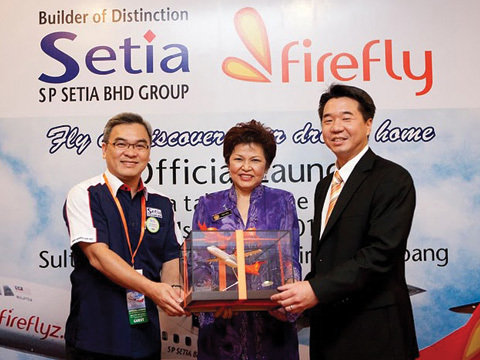 S P Setia Berhad took to new heights today in marketing its properties when it unveiled a unique partnership with Firefly. 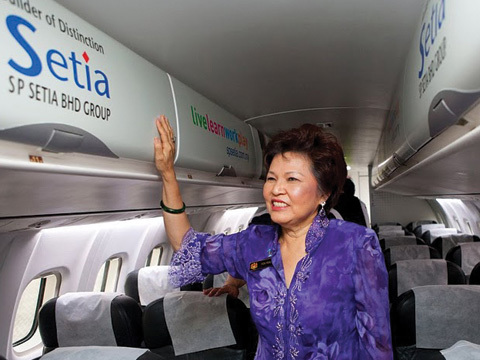 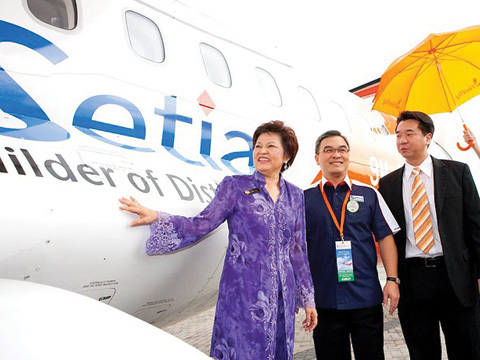 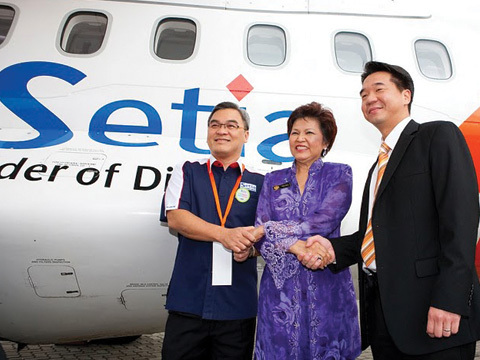 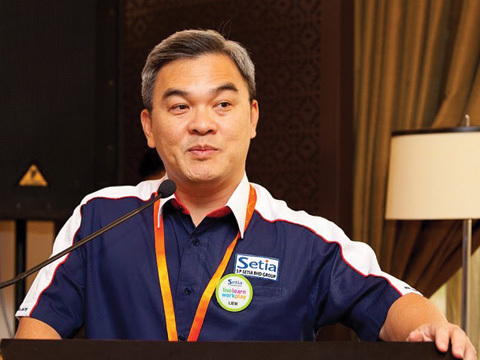 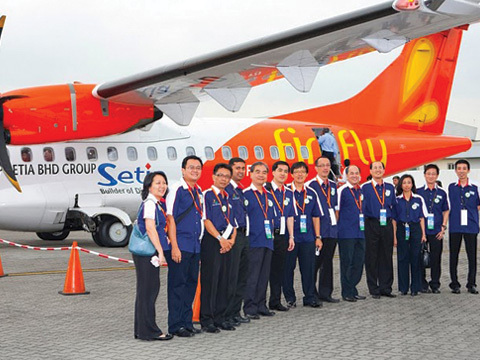 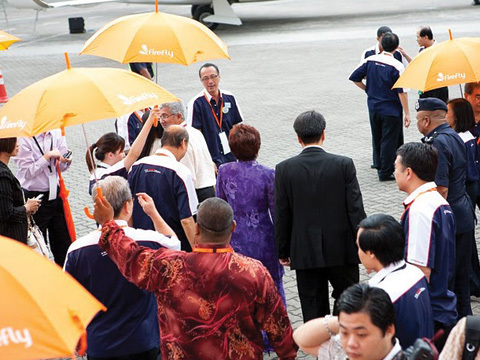 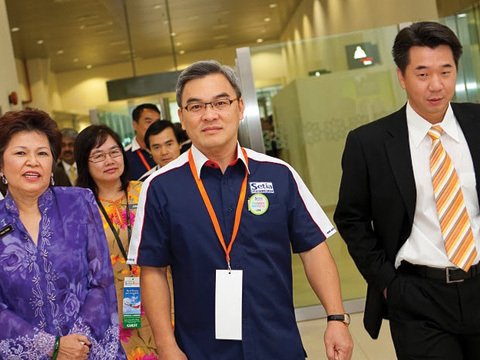 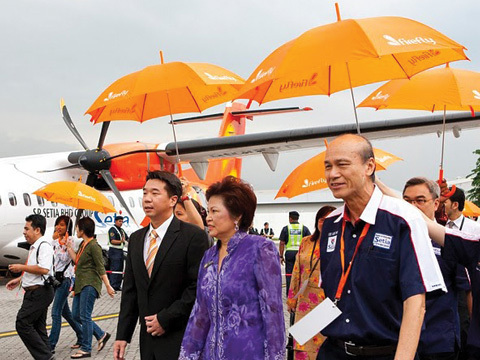 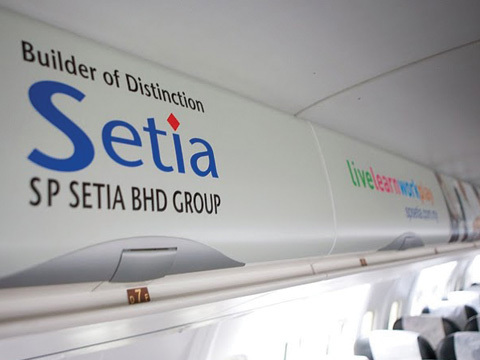 A first in the property industry, the tie-up entails all seven (7) of the airline's European-made ATR-500s carrying the S P Setia brand internally and externally. 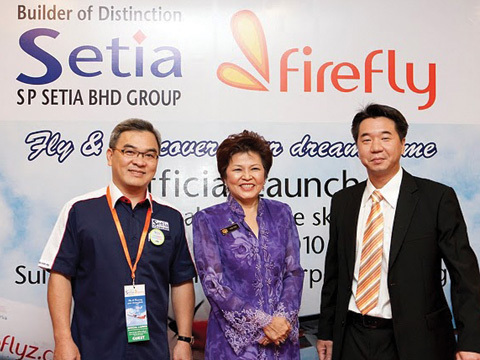 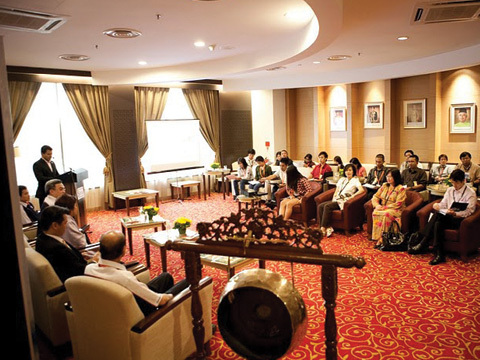 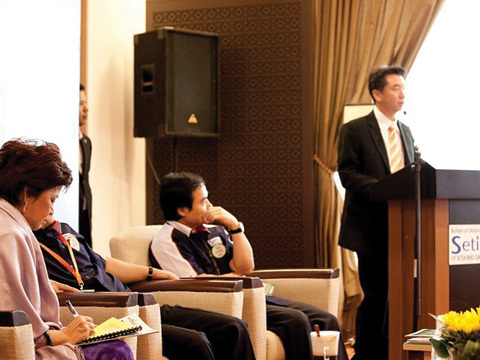 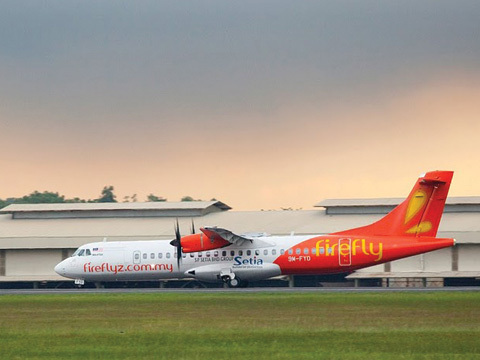 The state government of Perak today signed a five-year strategic collaboration with Firefly, winner of the Best Value Airline of the Year at the recent 2010 Frost & Sullivan Asia Pacific Aerospace & Defense Awards, to promote tourism and foreign investment in the state. 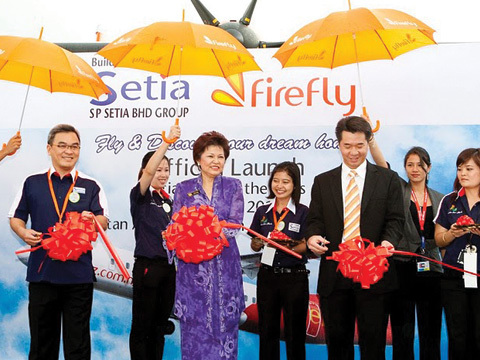 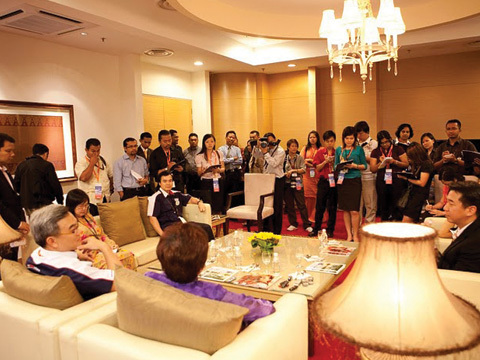 The runaway success of Firefly, winner of the Best Value Airline of the Year at the recent 2010 Frost & Sullivan Asia Pacific Aerospace & Defense Awards, at the frantic 3-day KL MATTA Fair 2010 held at the PWTC from 12 to 14 March 2010, with a RM1.8 million sell-outs of Firefly tickets was another testimony that Firefly is here to stay and capture the market, and its recent success is certainly not just a flash-in-the pan. 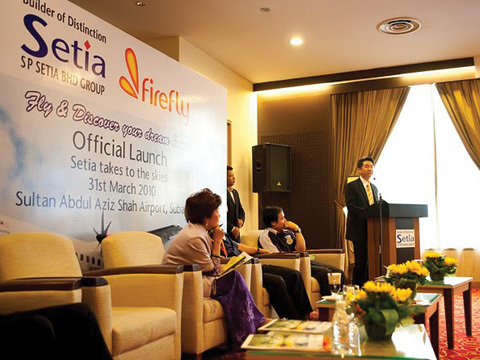 Firefly to give away 120,000 tickets at Matta fair. 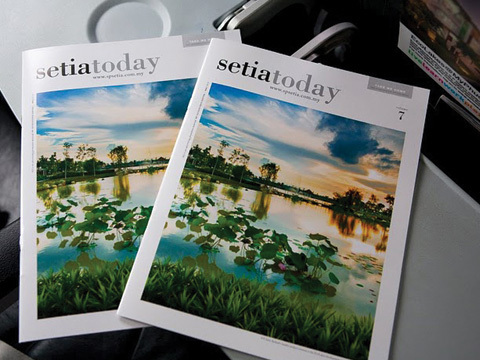 The Star, Malaysia, NORTH 27 Jun 2007. 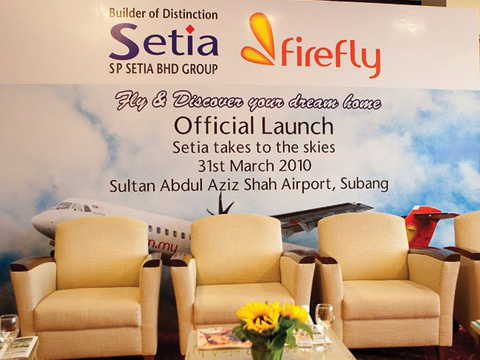 The Star, Malaysia, Tuesday 26 Jun, 2007.